Developments of machines and automation software in the workplace could create 58 million new jobs in the next five years, according to a report from the World Economic Forum. The outlook for job creation is more positive today because companies better understand what kind of opportunities are available to them due to developments in technology, according to WEF. Developments in automation technologies and artificial intelligence could see 75 million jobs displaced, according to the WEF report “The Future of Jobs 2018.” However, another 133 million new roles may emerge as companies shake up their division of labor between humans and machines, translating to 58 million net new jobs being created by 2022, it said. At the same time, there would be “significant shifts” in the quality, location and format of new roles, according to the WEF report, which suggested that full-time, permanent employment may potentially fall. An analysis from global audit firm PwC also made similar predictions. It said that AI, robotics and other forms of “smart automation” technologies could boost productivity and create better products and services. While some jobs will be displaced or “fundamentally changed in nature,” new jobs will also be created and the long term net effect should be positive for the economy as a whole. The WEF report was based on a survey of human resources officers, strategy executives and CEOs from more than 300 global companies in a wide range of industries. Respondents represented more than 15 million employees and 20 developed and emerging economies that collectively represent some 70 percent of the global economy. While automation could give companies a productivity boost, they need to invest in their employees in order to stay competitive, according to Saadia Zahidi, head of the Centre for the New Economy and Society at the World Economic Forum. The Fourth Industrial Revolution basically refers to the ways new technologies will alter the way people live, work and relate to one another. 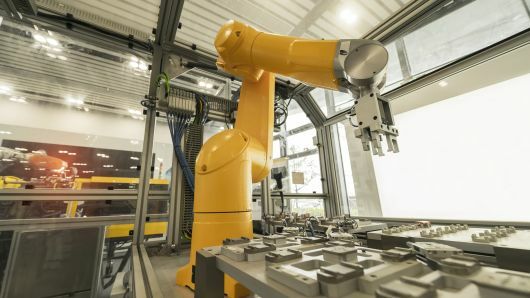 Companies, governments and employees need to work together to tackle skills shortages that occur due to automation, according to WEF.Ultimately, if companies can effectively manage upgrading the skills of existing workers and splitting tasks between employees and machines, they would create the opportunity for higher productivity growth, the WEF said.